Chapman AB, Abraham WT, Zamudio S, Coffin C, Merouani A, Young D, Johnson A, Osorio F, Goldberg C, Moore LG, Dahms T, and Schrier RW. Temporal relationships between hormonal and hemodynamic changes in early pregnancy. Kidney Int 1998; 54:2056-2063. Lindheimer MD, Davison JM. Osmoregulation, the secretion of arginine vasopressin and its metabolism during pregnancy. Eur J Endocrinol 1995; 132:133-143. Lindheiner MD, Katz AI. Renal physiology and disease in pregnancy, in: Seldin DW, Giebisch G, Eds., The Kidney, 3rd ed., Vol. II, Philadelphia: Lippincott/Williams & Wilkins, 2000, pp. 2597-2644. Metcalfe J, Bisonnette JM. Gas exchange in pregnancy, in: Fahri LE, Tenney SM, Eds., Handbook of physiology, Section 3, The respiratory system, Vol. IV, Gas Exchange, Bethesda, MD: American Physiological Society, 1987, pp. 341-350. Rosenfeld CR. Mechanisms regulating angiotensin II responsiveness by the uteroplacental circulation. Am J Physiol Regul Integr Comp Physiol 2001; 281:R1025-R1040. White MM, Zamudio S, Stevens T, Tyler R, Lindenfeld J, Leslie K, Moore LG. 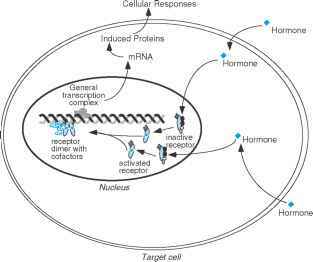 Estrogen, progesterone, and vascular reactivity: potential cellular mechanisms. Endocrine Rev 1995; 16:739-751.